I've been trying to think of healthy dinners for my pregnant self. Whole grains and protein are essential for a healthy pregnant diet. Also, I really like pizza. 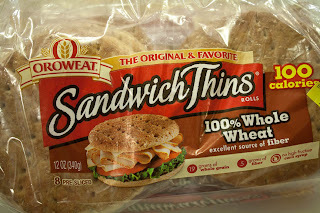 While perusing the grocery store this evening, I came across Oroweat Sandwich Thins. Mini pizza instantly came to mind. 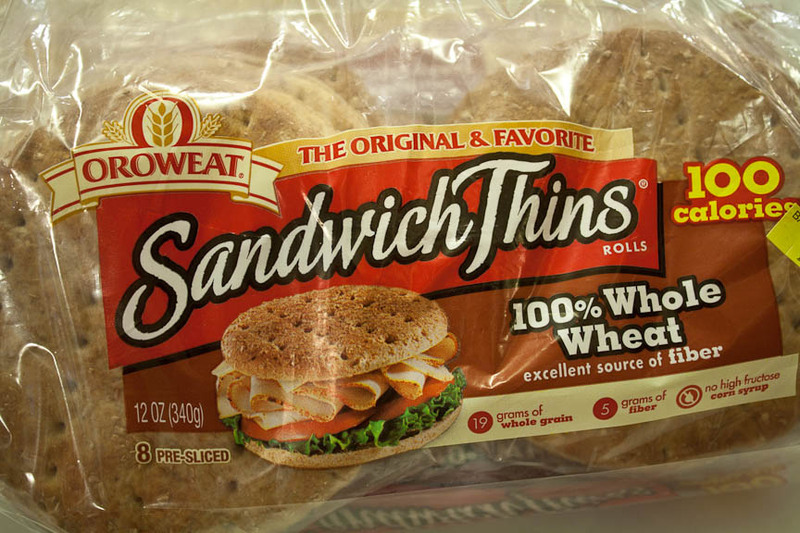 Mozzarella has protein and calcium and the thin breads are whole wheat. 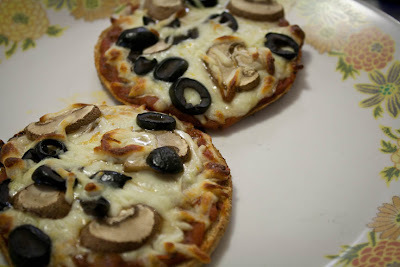 Hello, healthy pizza! This recipe is pretty much a no-brainer. It would be a fun idea if you have kids because picky eaters could pick the toppings they prefer. Turn on your toaster oven to bake at 450 degrees. You could also heat up your oven to this temp, but the toaster oven is really convenient if you're only making one serving, plus you can conveniently through the window. Spread the marinara on the open faces of the Sandwich Thins. Sprinkle lightly with mozzarella. Add your toppings. Place in oven till cheese is melted and starting to brown on edges, about 7 minutes.